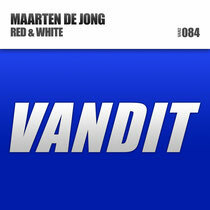 Dutchman Maarten de Jong’s recently released ‘Red & White’ draws on all the stylistic colours of the trance flag.From the off, on the Original Mix Maarten uses cascading spacey sub-riff chimes and ebullient progressive house synth lines to generate its lift, and just when you think it can’t get any bigger, he sneakily whips its tech boom back in for a final ‘gotcha’ moment! A former single of the month in Mixmag, there's no let up from the Dutchman on 'Red & White’s Blue Mix either. Anvil hard drums, rotund bass, heaps more tech-threat and some squelch bursts of electronica all fire the alternative version. It's out now on Vandit, check it out below.